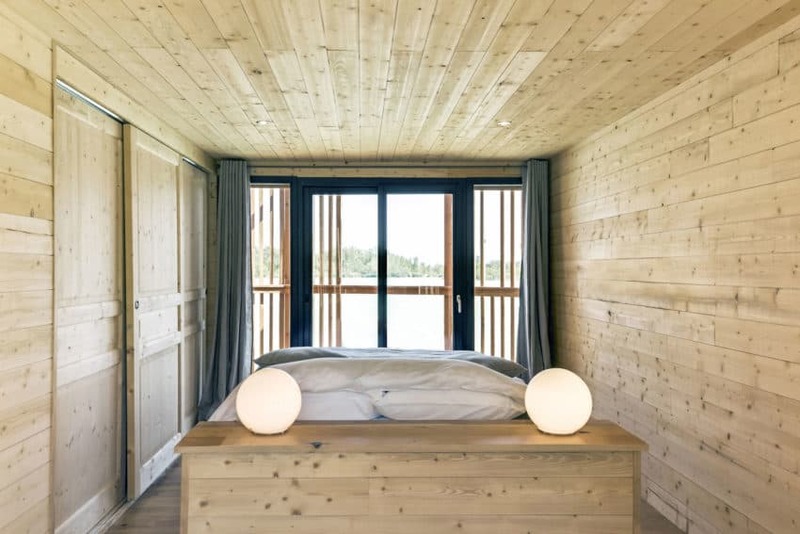 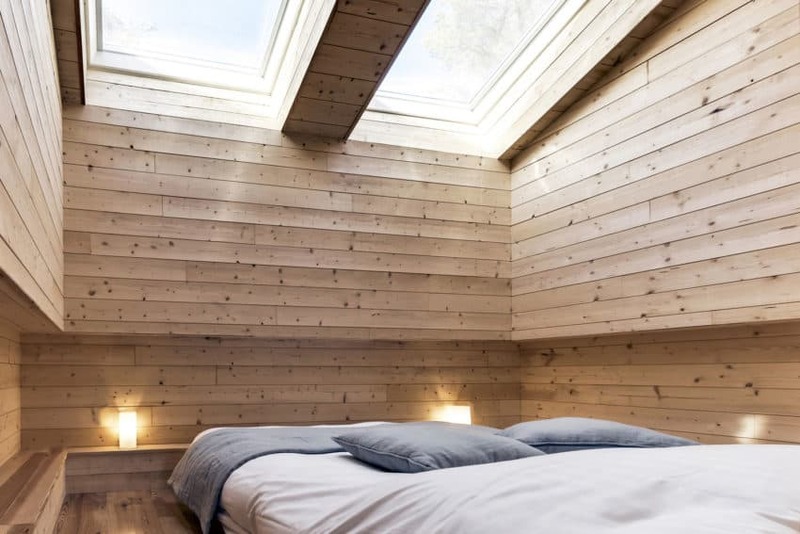 The GCP Wood Cabins Hotel was designed by the French architectural firm Atelier LAVIT, which is based in Paris, in 2017. 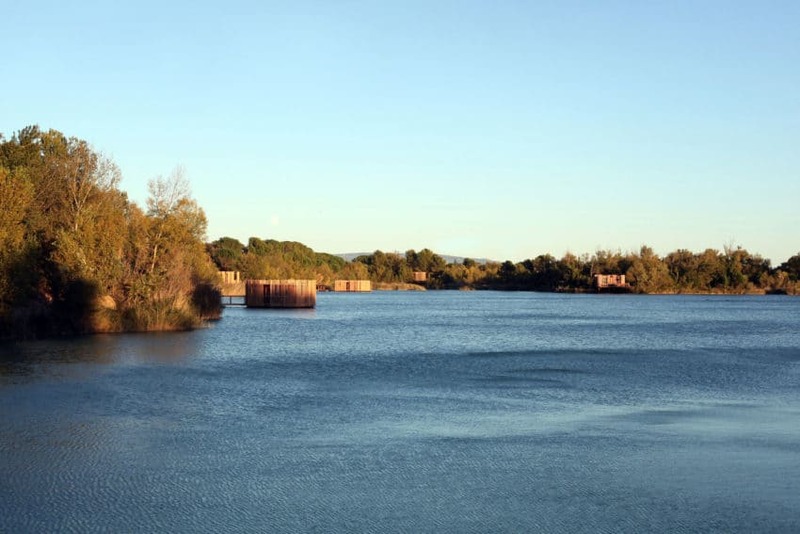 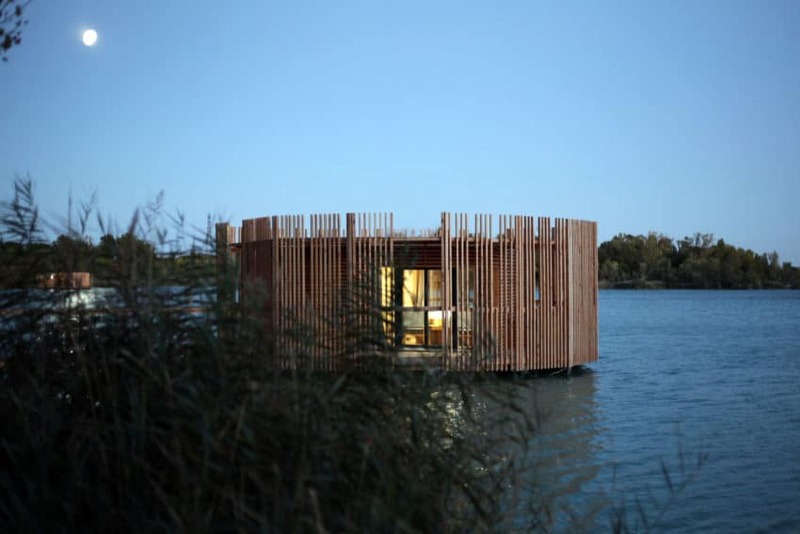 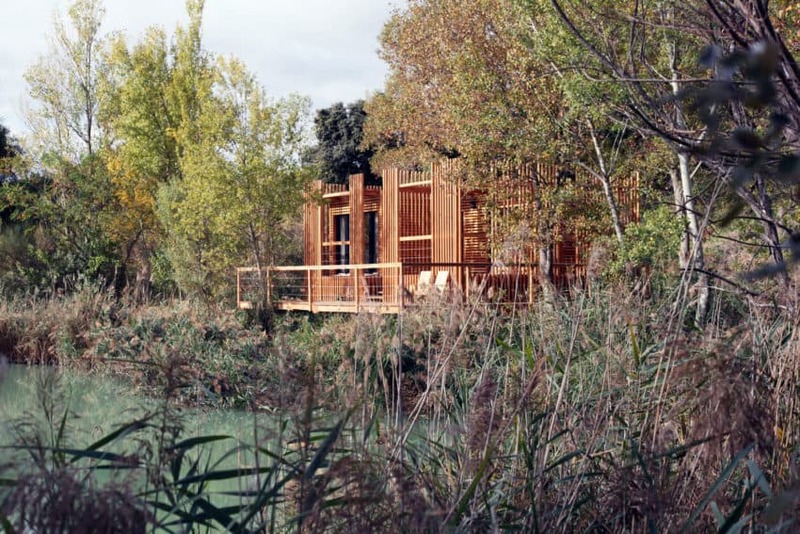 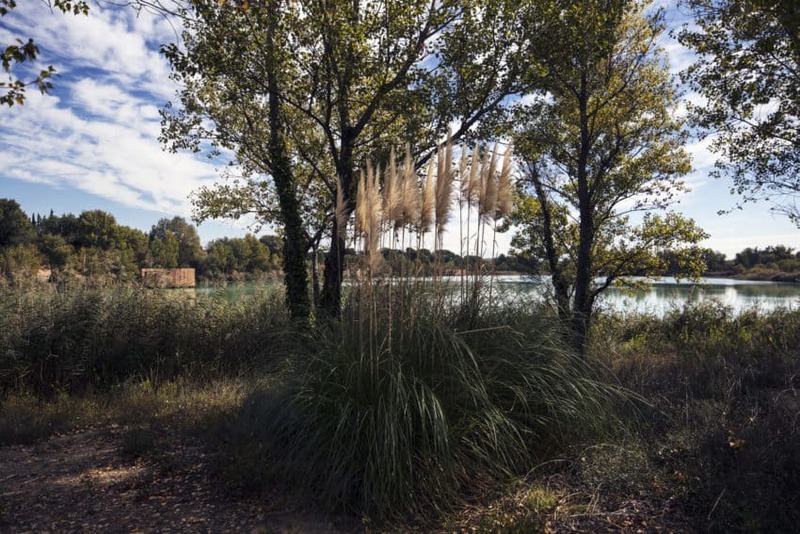 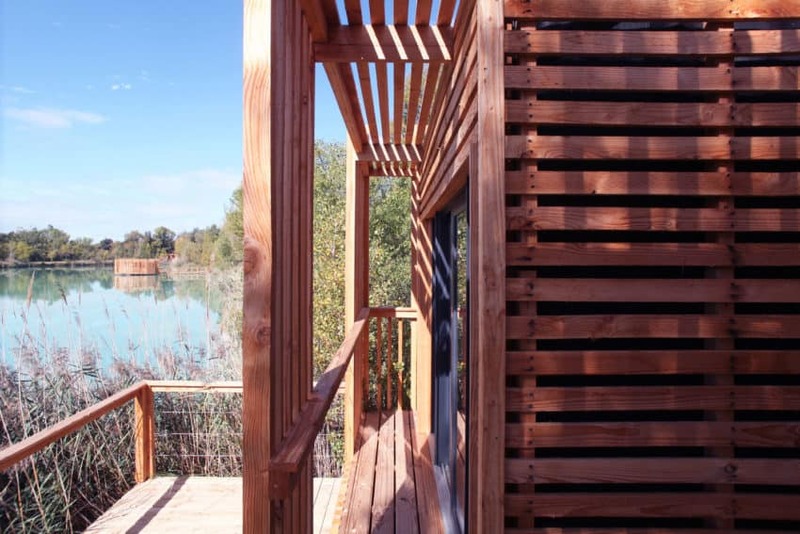 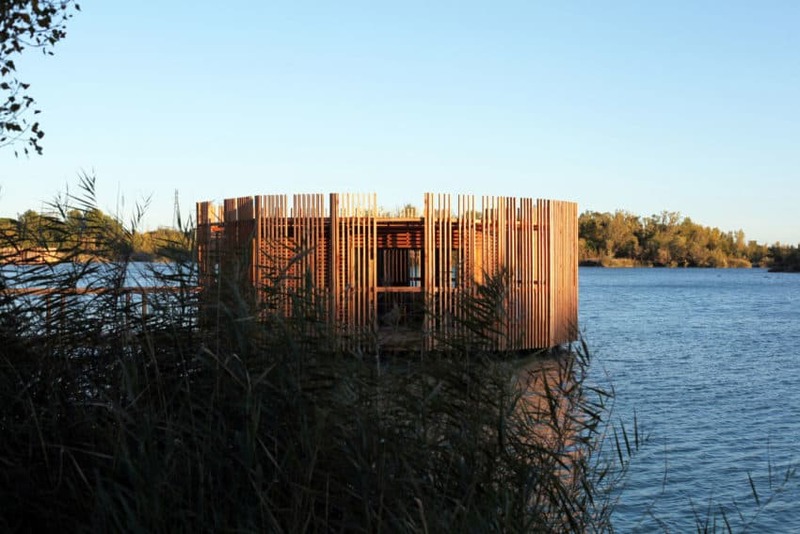 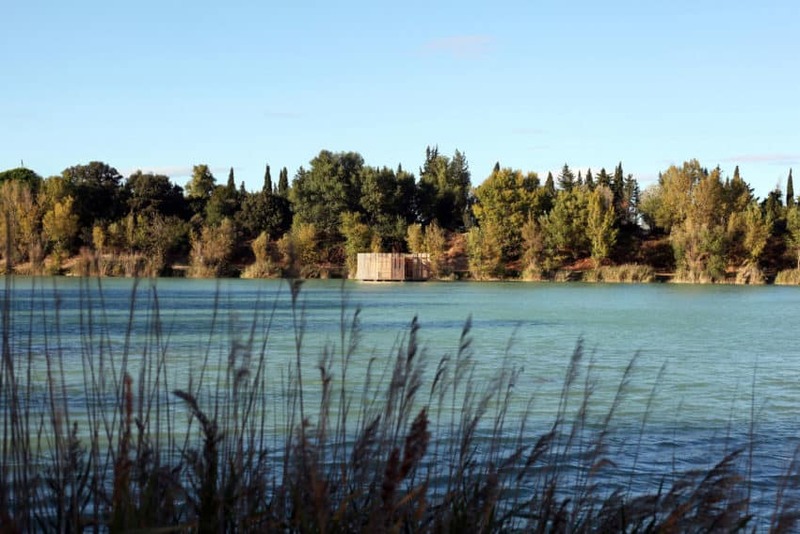 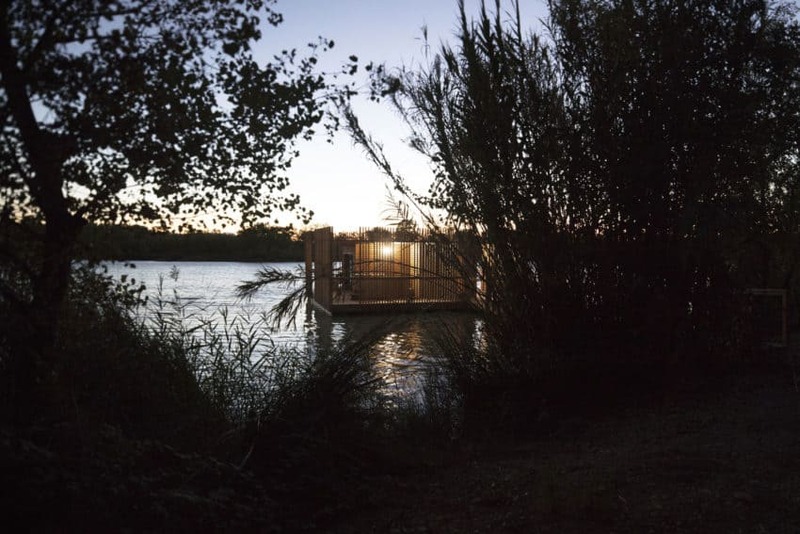 The eco-hotel covers a total ground area of 300 square meters, and is perched on the shore of Lac de la Lionne, part of a fishing reserve in Sorgues, a commune in the Vaucluse department in the Provence-Alpes-Côte d’Azur region in southeastern France. 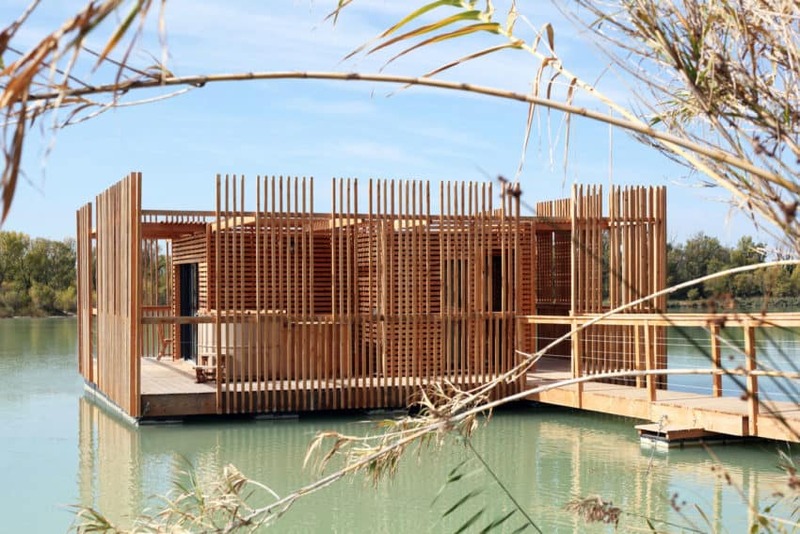 The hotel is composed of ten suites, which are designed to resemble primitive reed buildings, floating on the water like rafts or stilt homes. 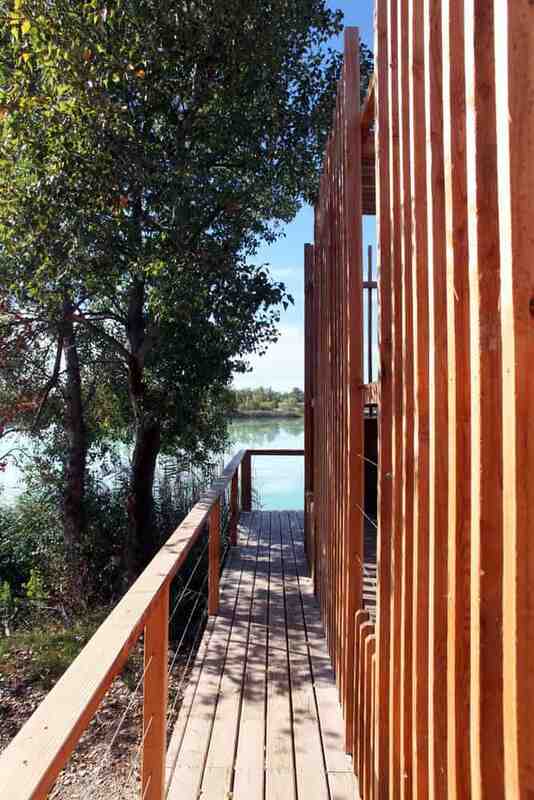 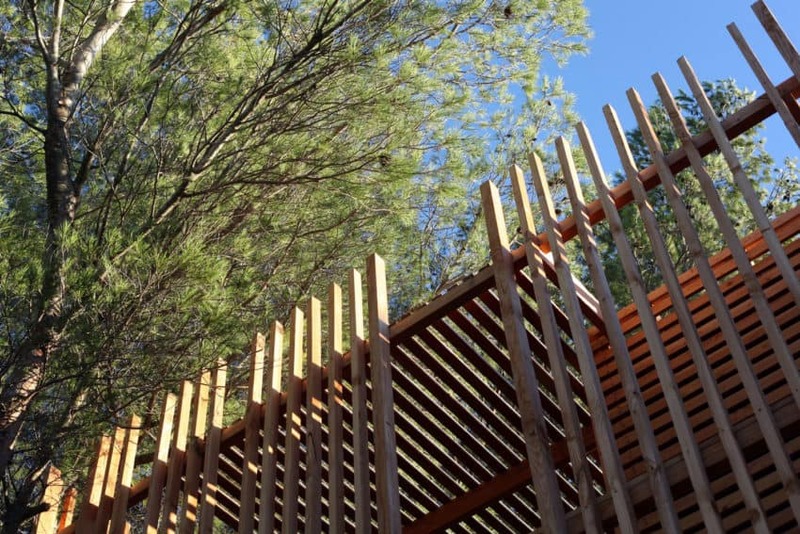 The way the wooden structures are constructed, with vertical beams for walls, allows a degree of privacy that is matched by the protection they provide from the sun and the wind. 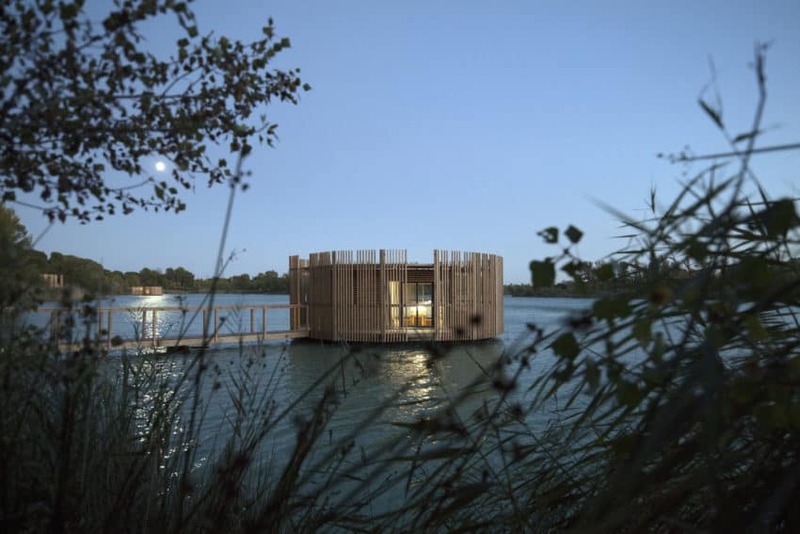 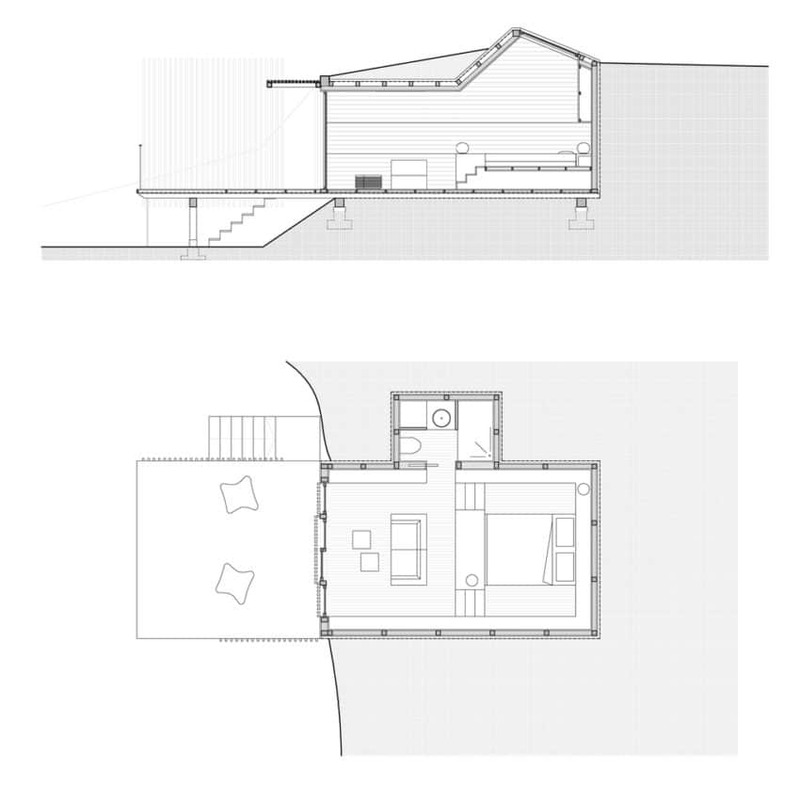 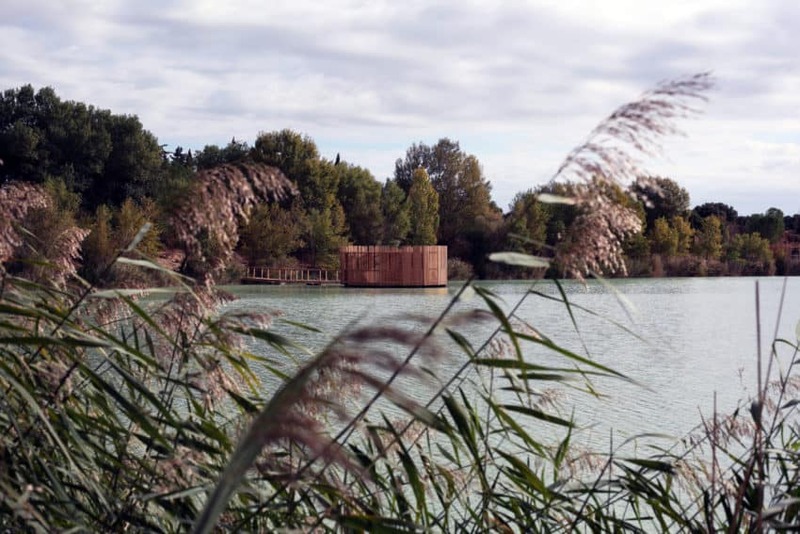 The landscape of the lake and the surrounding vineyards provided a challenge for Atelier LAVIT, and so they chose to allow nature to remain the protagonist of the project, creating architecture that would leave as little footprint as possible. 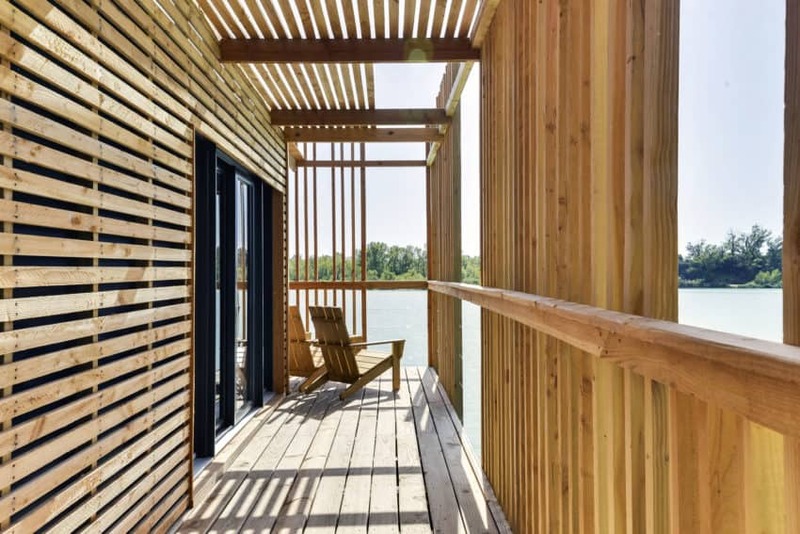 The project was largely built in a wood workshop, a process that took three months to complete, and later assembled on site. 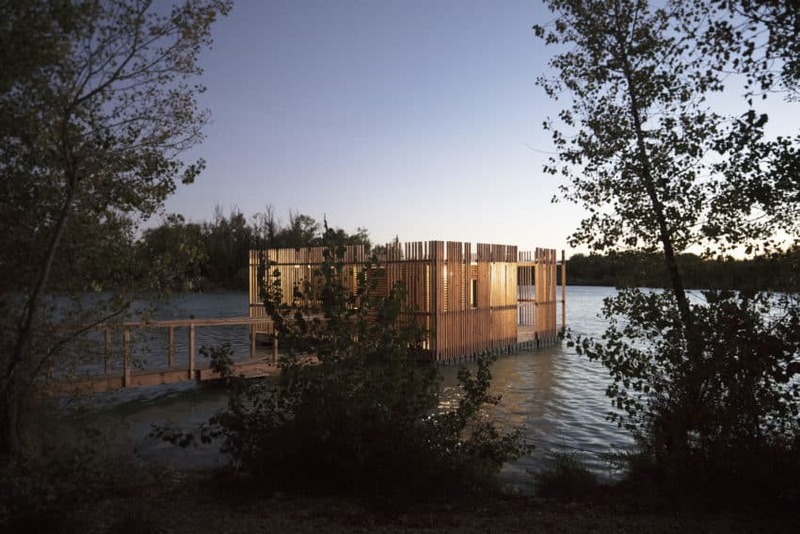 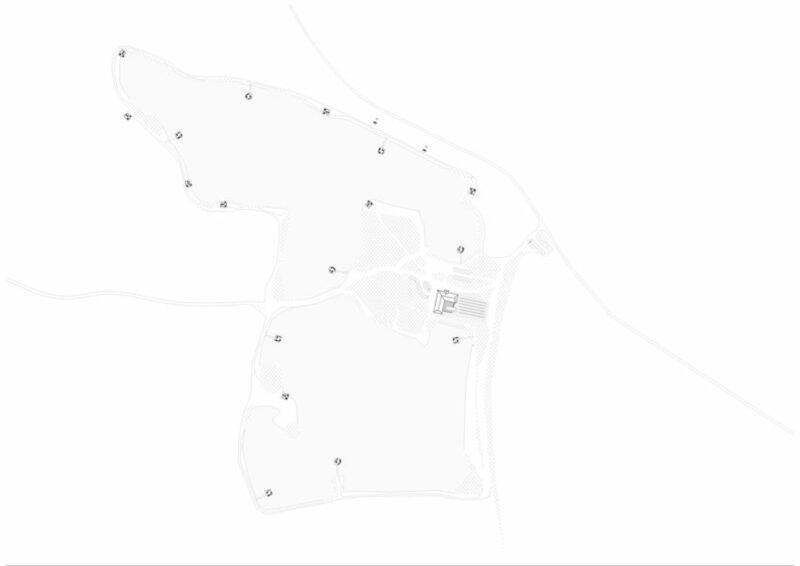 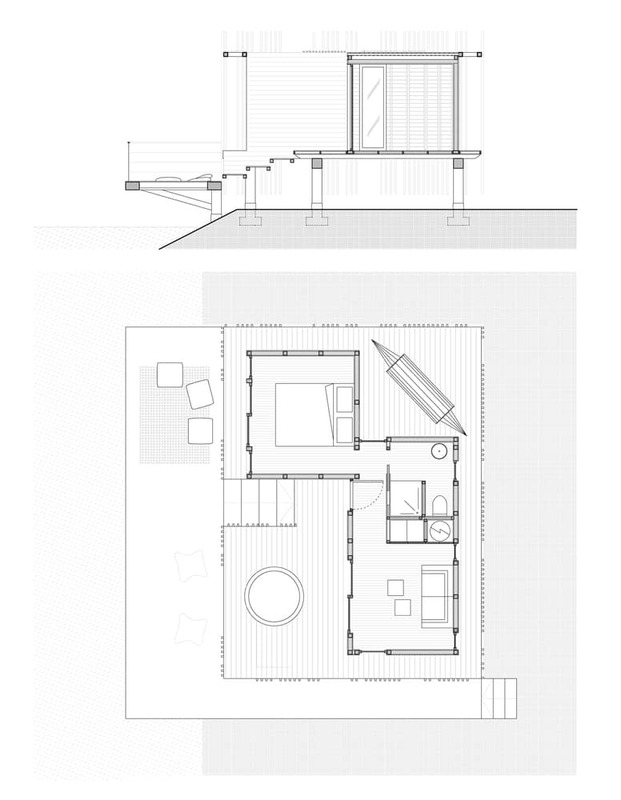 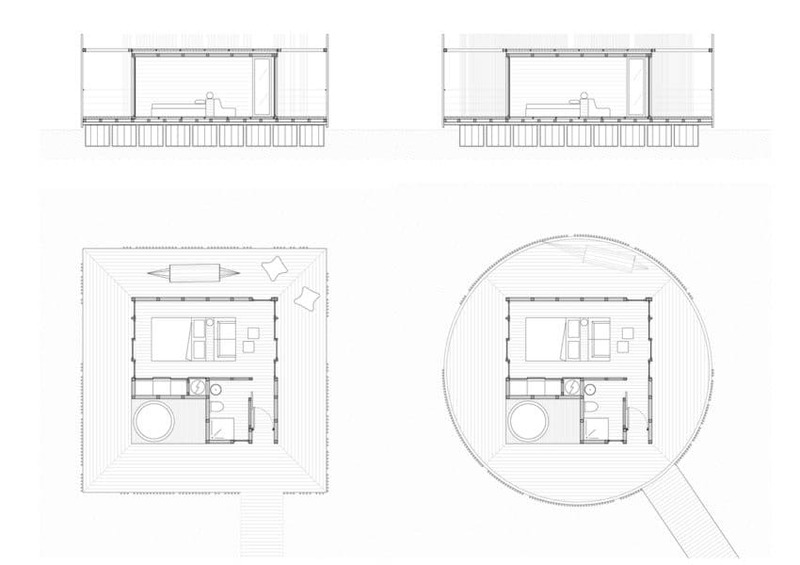 This facilitated the architectural firm’s attempt to affect the landscape as little as possible, as it reduced the local time and efforts of construction.